We need your children's names, birthdates, your email address and authorization that you are paying for them. We need all of this entered into the MindBodyOnline System in your account profile. This information enables you to easily register them and enables us to compare their age to the age requirements for the class. 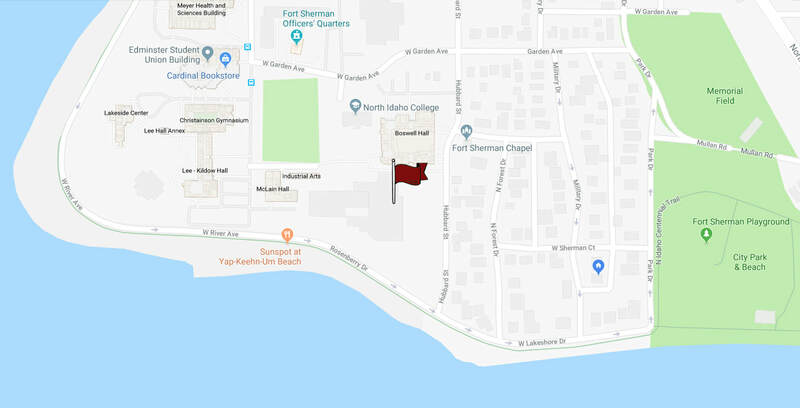 The email address is used to send you receipts and send you up dates regarding the classes that your children are atending. 1. If you need to set up an account, go to the step below "Create a New Account". 2. If you already have an account, go to the tab called "MY INFO". Check the box where it says "Paid for by...". 1. 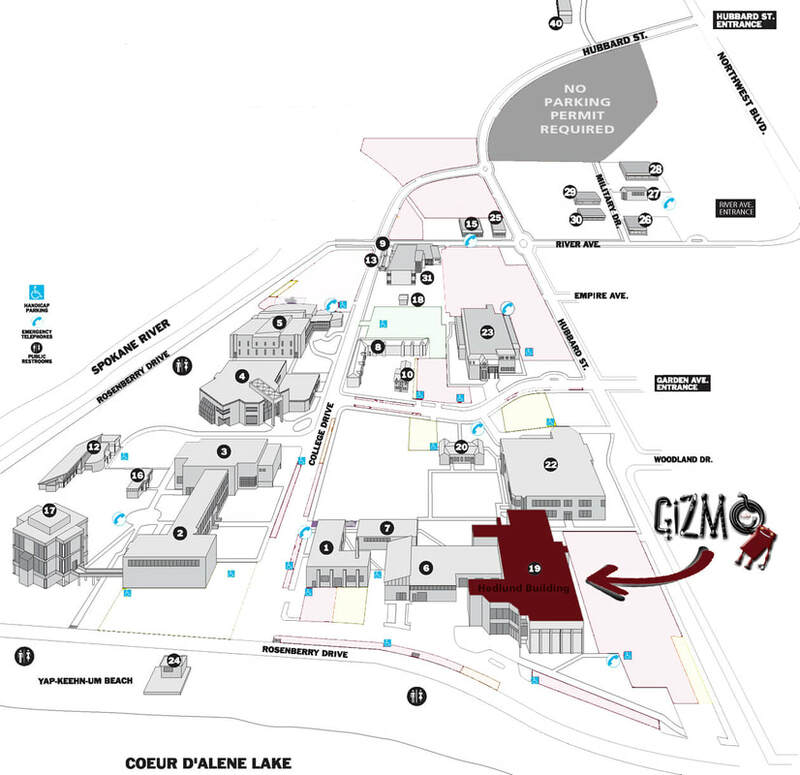 Click on the Workshops Tab. 2. Choose "Class Type" of Children. 3. 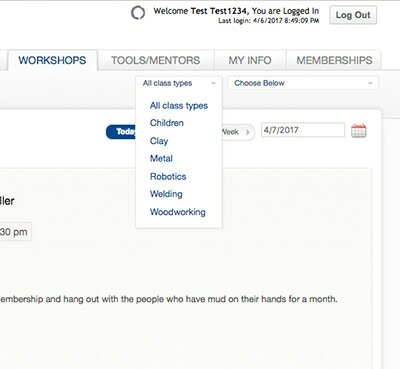 Choose the workshop by clicking on "Sign Up Now" under the workshop you want. ​4. 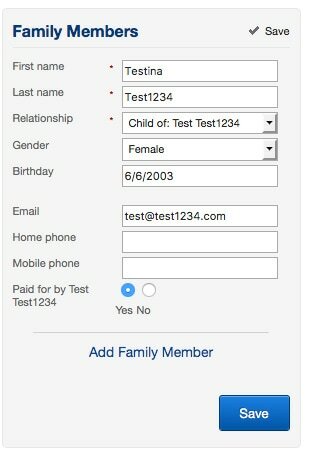 If both you and your children meet the age prerequisites, there will be clickable links for you all. 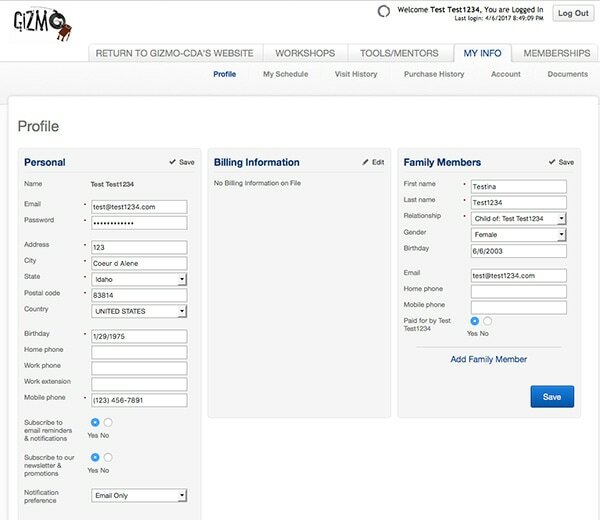 Since it's your account, the button labeled "Enroll" allows you to enroll yourself. 5. 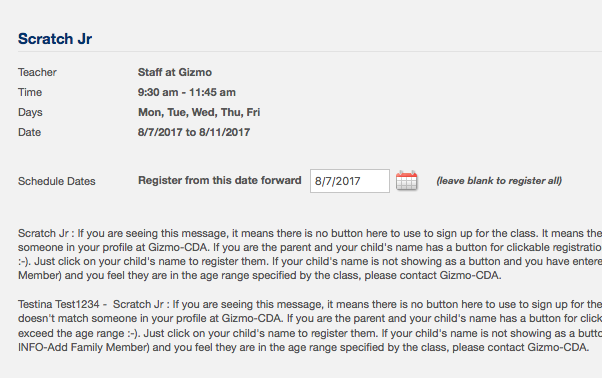 If the class has an upper age limit but your children meet the age requirements, you will see a screen without an "Enroll" button for you. 6. 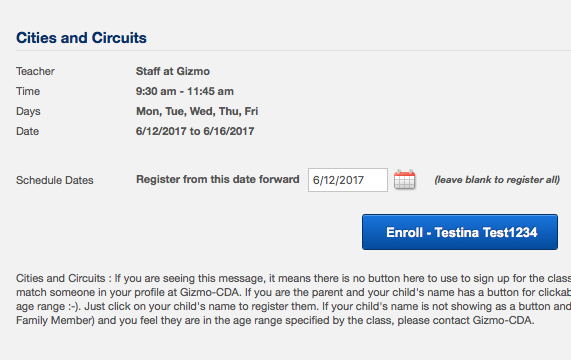 If neither you nor your children meet the age requirements, you will see a screen without an "Enroll" button for any of you. ​1. Click HERE to go to the MindBodyOnline login page. 2. 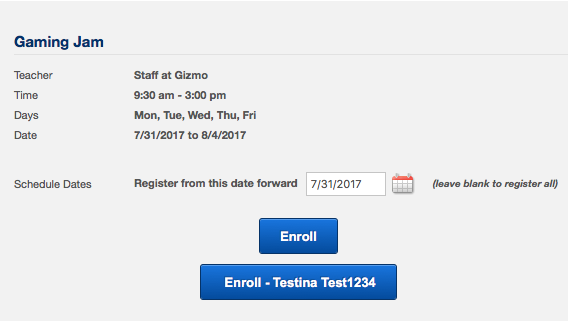 If you enter your email address in the "Create an Account" field and you are told the email already exists, it's possible Gizmo already entered your data into the system. Just go to the "Log In" field and ask for a new password with that email address. 3. Once in, enter all the information for yourself including password information. 4. Then refer to the instructions above about how to "Add Children To Your MindBodyOnline Profile".